Thanks to our specialized services and continued support from the United Way of Allegheny County, our Workforce Development Program was able to help families thrive, with great outcomes. 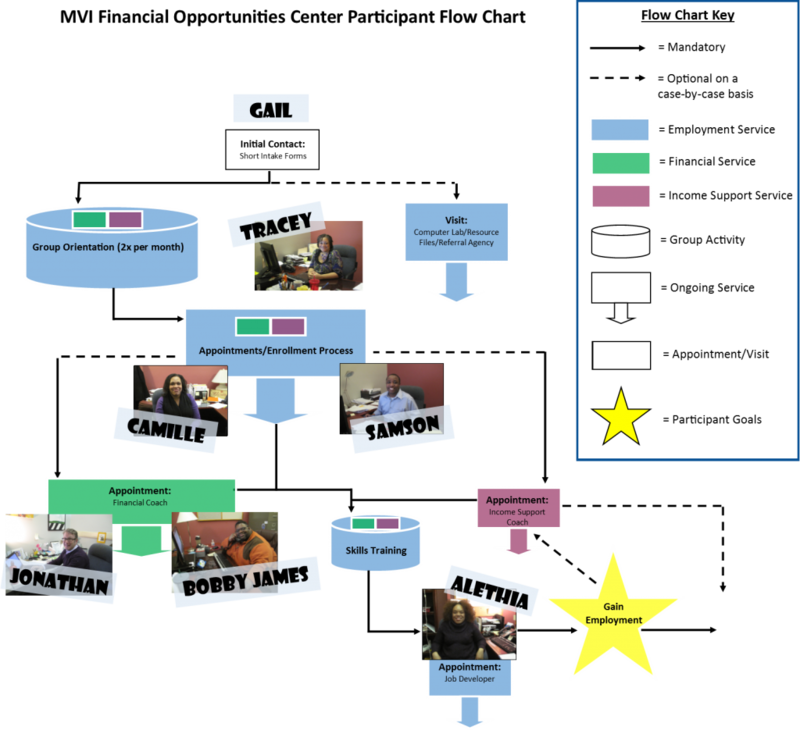 From September 2014 to August 2015, our program enrolled 291 participants, 73% percent with criminal records. Out of those participants, 68% (or 198 people) gained employment. Over the next six months, our participants’ job retention rate was 60% – 118 of them remained in their positions. 13 participants went through our computer training program to gain new employment skills. 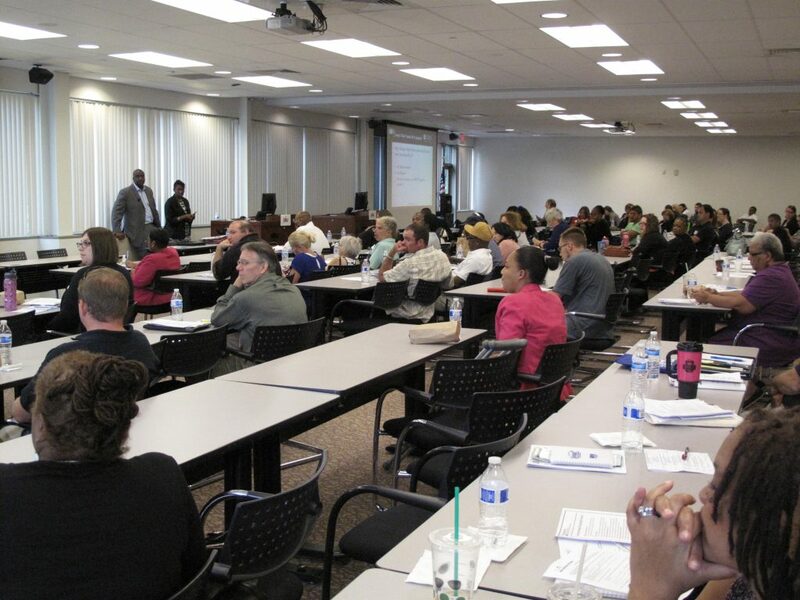 This two-day conference of the Southwestern Pennsylvania Reentry Coalition (SPARC) took place in July at the Allegheny Intermediate Unit (AIU) in Homestead. The mission of SPARC is to foster collaboration among agencies in Southwestern PA who provide services to individuals whose criminal record creates barriers to self sufficiency, and this conference provided an opportunity for agencies and individuals going through the reentry process to collaborate. The conference featured a number of notable guest speakers, and included an unveiling of SPARC’s new logo in MVI blue. Each year, MVI hosts an Employer Appreciation Breakfast to thank those who have partnered and collaborated with the Workforce Team. This year, Burns & Scalo was recognized as our Outstanding Employer Honoree, and Neighborhood Legal Services Association was our Dedicated Collaboration Award Honoree. 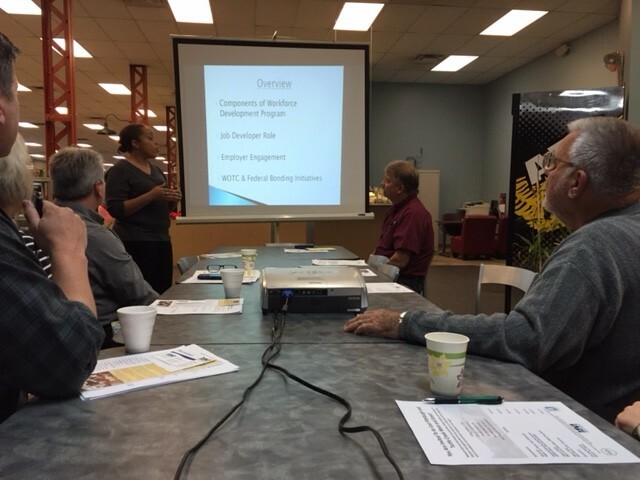 The East Pittsburgh Economic Development Corporation (EPEDC) and the Turtle Creek Development Corporation (TCDC) invited the MVI Workforce Development Team to speak to tenants at a Business Meet & Greet in October. Tenants came to the Keystone Health Club to enjoy refreshments and to learn and ask questions about the Workforce Development Program’s opportunities for employers from our Job Developer, Alethia Bush. Above, Alethia presents to the employers about job seekers professional trained through MVI and the incentives in place to encourage employers to hire individuals with criminal backgrounds. We welcomed a new Workforce Development Specialist & Financial Coach, Bobby James Smith (left), and Intake Coordinator, Gail Bachy (right), to the MVI team in 2015! Find out more about the Workforce & Business Development Program on our website, or give your support by donating online for our Annual Appeal! Thank you!